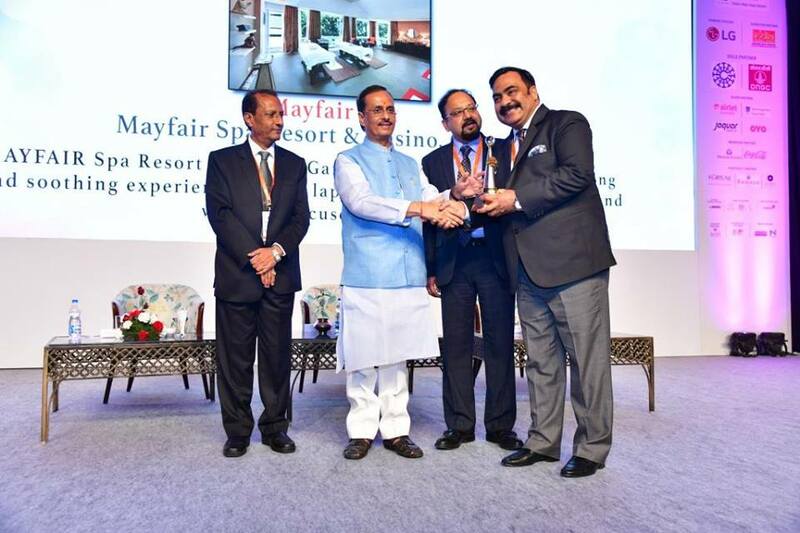 Mr. Souvagya Mohapatra, the Executive Director of MAYFAIR Hotels & Resorts, whose leadership has been instrumental in leading the luxury hotel chain received the award which was bagged by Mayfair Spa Resort & Casino, Gangtok for the prestigious “Best Hotel Spa of the Year 2018” award. Mr Samiran Das, F&B Manager of Mayfair Lagoon, Bhubaneswar received the “Best Hotel F&B/Banquet Manager of the Year 2018 Award in the Luxury – Upper Upscale and Midmarket” category. Executive Chef Milan Prabhat of Mayfair Lagoon, Bhubaneswar bagged the “Chef of the Year 2018 Award in the Luxury – Upper Upscale” category. 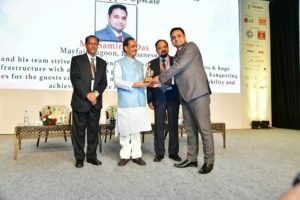 Mr Arindam Konar of Mayfair Darjeeling received the “Best Hotel F&B Manager 2018 Award” under Upscale category.